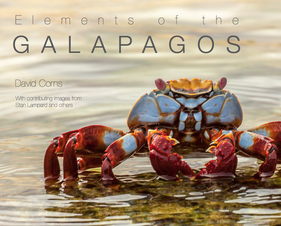 Our second book on the 2014 expedition to Ecuador and the Galapagos focuses exclusively on the Galapagos Islands. 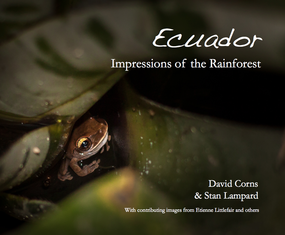 The book features images from D. Corns, S. Lampard and pupils who attended the third week of the expedition. It aims to show the islands in their most raw, 'elemental' form, focussing on life on Land, in the Air, in the Water, and on the Fire from which these volcanic islands were born. As before, the book is available to view and purchase at the Blurb store - click on the cover to view it; though do first contact D. Corns if you would like to purchase a copy, which may be possible at some discount. Ecuador: Impressions of the Rainforest is based on the school's expedition to Ecuador and the Galapagos Islands in the summer of 2014. This first of two books from the 2014 season explores the niches of life in the Ecuadorean Andean and Amazonian rainforests and the natural forces which define them: ‘water' in chapter 1, Rain and the Forest; ‘light' in chapter 2, Life in the Canopy; ‘nutrients' in chapter 3, The Forest Floor; and finally ‘life itself' in Chapter 4, Deep in the Rainforest. It is our document of two weeks spent working with conservation scientists from Operation Wallacea. The book is available to view and purchase at the Blurb store - click on the cover to view it! 'Guyana' is our document of two biodiversity expeditions with Operation Wallacea in 2012, to the Iwokrama rainforests of Guyana, South America - one of the most pristine ecosystems remaining in the world. As we write in our introduction, 'the photographs in this volume span space and species: from the research base at Iwokrama River Lodge to the remote beauty of Kaieteur Falls; from the invertebrates of the deepest jungle to the iconic anaconda alongside the Burro-Burro river; and from our own survey work in camp and in the field to the warm hospitality of our Amerindian guides from the eco-village of Surama'. The book is available to view, and buy, on the Blurb website - click the image to see it!